Ha.. 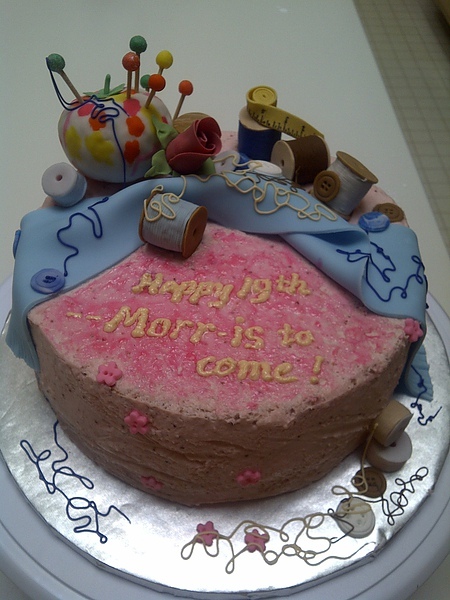 I've received four cake orders last week! Thank you, friends and family, for you love and support! So happy! 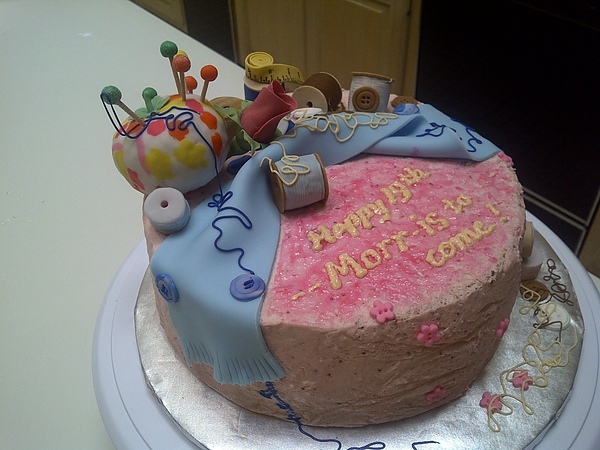 The first cake I made "for sale" was Morris' 19th birhday cake. It was in Michael's Art Studio in Arcadia, California, last Tuesday, when Michael and I were chatting about doing wedding cake as a business in Shanghai. Then, Michael asked to buy my cake for his birthday coming up on December, 9th; of course I accepted the order! And then, Amy said that her son's birthday was coming up this Saturday, November 27th, so I received two orders! Thank you, friends! After dinner on Thanksgiving night, I started to make the little ornaments for Morris' cake. 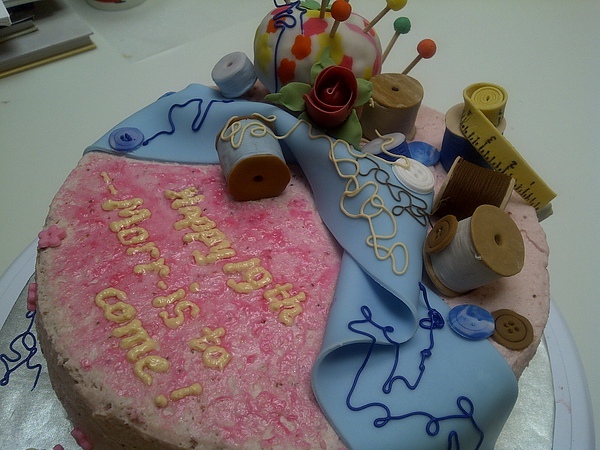 Yes, they are items related to sewing. A few spools, large and small, buttons with different sizes and colors, a tape measure, and a pin cushion with a few pins. Oh, yes, a blue scarf, no comparison to Morris' hand made scarf, just a token though. I thought that the colors are a little clashing, because the cake is a pink strawberry cake with strawberry mousse filling and frosting, thus it's kind of in contrast with the blue... Well, more to learn and to improve on next time!